MCO and Quaid Megaslope are available now. 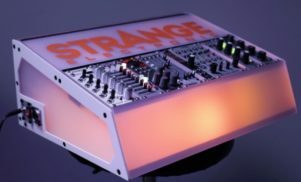 ALM Busy Circuits has launched two new Eurorack modules: a compact wavetable oscillator called MCO and a multi-mode modulator, Quaid Megaslope. 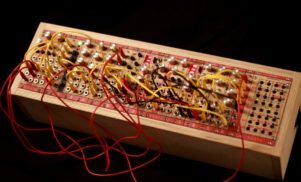 MCO is a 6HP module with three outputs for wavetable, pulse width-modulated wavetable and sub. ALM says to expect “an early ’90s, slightly crunchy digital type sound” from the module in the vein of synths from Ensoniq and Kawai. Quaid Megaslope is a five stage function generator that can operate in three modes: a complex Casio CZ or Roland Juno style envelope, a flexible LFO and step sequencer. 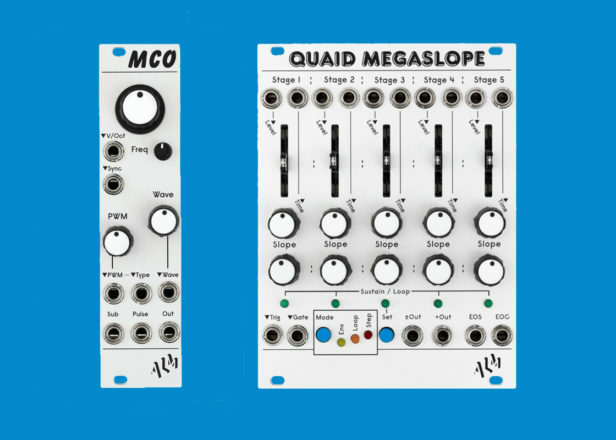 The Quaid Megaslope is functionally similar to Mutable Instruments’ recent Stages module, though it also has features in common with Make Noise’s ubiquitous Maths module. MCO costs £135/$169 while Quaid Megaslope costs £235/$299. Both modules are shipping to retailers now and are available for order from London Modular in the UK and Control in the USA. Last year, ALM released a filter module made in collaboration with Mumdance, who showed FACT what it can do. Watch the video below.